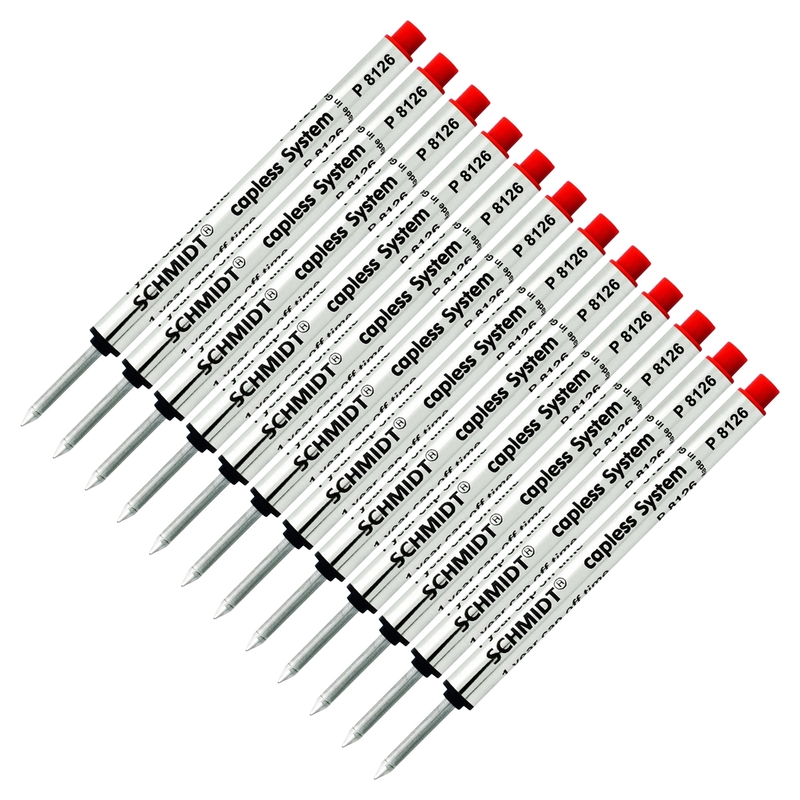 Schmidt P8126 Capless Rollerball refill. Short roller ball refill by Schmidt ®. 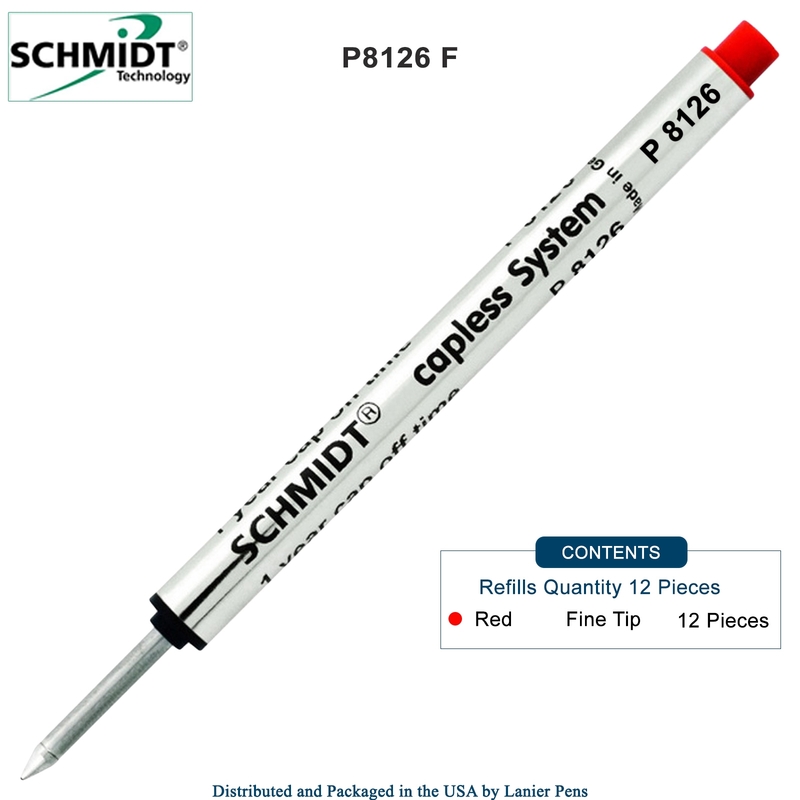 Schmidt ® Capless System is newly developed for the most smooth and elegant writing. This system combines the individual writing character of a fountain pen with the problem-free handling comfort of a ball pen.